Bradley Cooper must be sitting on top of the world these days. Who can blame him. Besides being in a hit Broadway play, his recently released movie “American Sniper” has grossed $120.5 million in North America and $26.5 million in other territories for a worldwide total of just over $147 million (as of Jan. 21, 2015). It cost $60 million to make. “The movie has become a cultural phenomenon…It tore apart the record book and not by a little. By an enormous amount,” said Dan Fellman, head of domestic distribution at Warner Bros., about the film’s massive box office success. Last week Cooper earned an Academy Award for best actor for his role in the Clint Eastwood film. 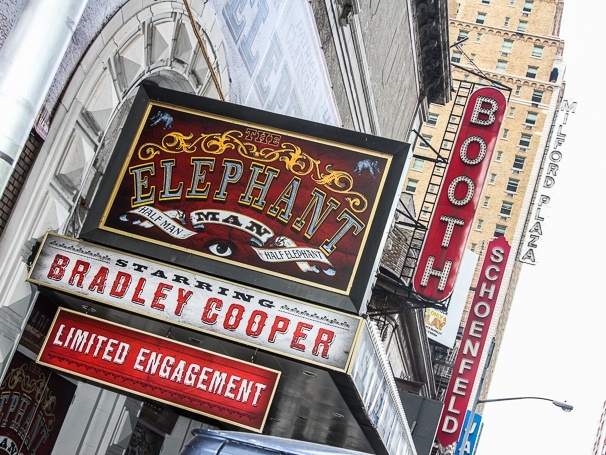 Meanwhile, his very successful stint as the title character on Broadway in “The Elephant Man” is moving to London’s West End after it closes here on Feb. 21. It is scheduled to run there from May 19 to Aug. 8. To read more, click here. 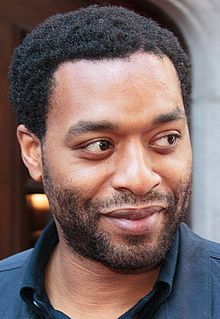 Chiwetel Ejiofor stars in new version of “Everyman” at London’s National Theatre this fall. Other National Theatre offerings include new plays by Caryl Churchill and Wallace Shawn, plus a new musical, “wonder.land,” by the Blur frontman Damon Albarn and the playwright Moira Buffini. As if “Finding Neverland” hasn’t had enough cast changes, it seems the shows lede producer filmmaker Harvey Weinstein and veteran Broadway press agent Rick Miramontez have uncoupled. That kind of thing is rare and talking about what happened is even more rare. To read the story, click here.